This year, July was full of sun–and lots of it. Day after day the sun shone, interrupted by only a few clouds and even less rain. A month like that is perfect if you love to go to the beach or host a picnic or sip martinis out on the patio. It is not so great if you are trying to keep any kind of vegetation alive. Driving through the neighbourhoods here in Oakville, it is easy to see the toll that such a hot, dry month has taken. 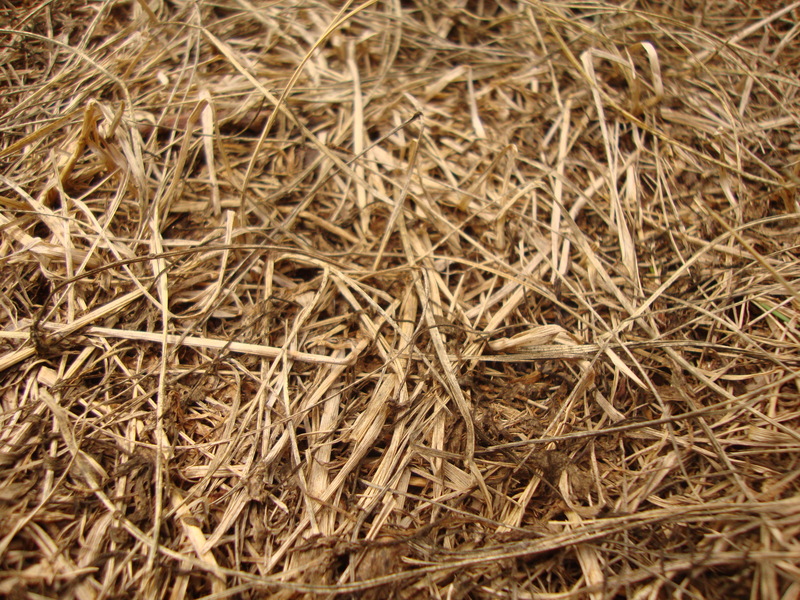 Most lawns here (with the exception of those who have cast aside any local watering restrictions and allowed a sprinkler system to keep their lawns looking green and fresh) are now brown, dry and crunchy underfoot. They are not dead, mind you–just dormant. When conditions became difficult, the grass simply decided to shut down. 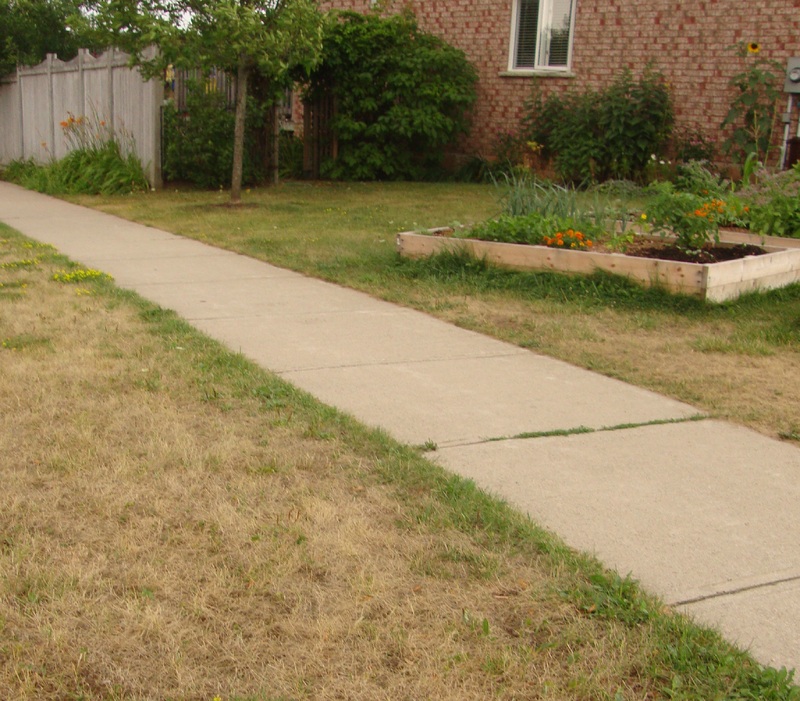 (The Ontario Ministry of Food and Agriculture lays out the difference between grass that is dead and grass that is simply resting until conditions change). As I drove to church this morning, I thought about how many of us endure dormant periods in our own lives. It might be a bout of clinical depression, spiritual malaise or personal sadness. We shut down and tend only to what is essential–eating, sleeping, meeting the most crucial obligations. In those times we sometimes refer to our spirits being ‘dry’ or ‘parched’. I have been in that dry and barren place. I have lived through that half-alive state without creativity or joy. 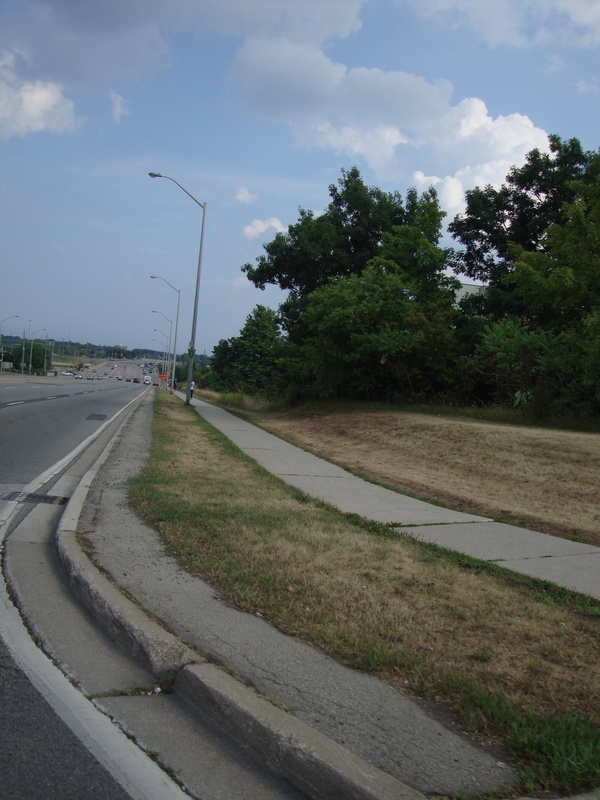 I look at those brown lawns and feel the pain of a hot, dry summer right alongside them. But this week things have begun to change. August brought with it a few rain showers, thunderstorms that unleashed a torrent of water from the sky. My rain barrels are full again. The deep cracks in my yard’s hard-packed clay have disappeared. And, even though it remains steamy and hot, the lawns have begun to show the first signs of revival. It is a slow process, this re-greening. Looking down the street, there is a sort of vague, green haze on the boulevards and front lawns. Walking in my backyard–which is still mostly brown–can be attempted in bare feet again. Slowly, the grass is emerging from its quiet, dormant period, one thin blade at a time. All kinds of books, magazines and self-proclaimed spiritual gurus claim to have just the thing to snap us out of our own dormant periods. If you just read this book, you will have your best life now. If you just follow these ten steps, you will become a better you in 30 days or less. If you just take this pill or follow this rule, you will be magically healed in seconds flat. My experience tells me that this is rarely true. For most of us, emerging from a dormant period in our lives takes time. It might take weeks, or months, or even the changing of seasons. It often involves gradual adjustments as we mature or make decisions. Our bodies slowly change with the help of healthy food or needed medication. A Spirit of gratitude begins to make a home in us. One tiny green shoot of life emerges at a time. It will still be awhile before my lawn is properly green again. If you are troubled or feeling down, it may be some time yet before you are yourself again. But perhaps you can find hope in the boulevards around my house: before long, abundant life will return. Slowly, gradually, the places that are now dry and barren will become full of life. Brown will give way to green. God’s world is like that. Just wait and see. This entry was posted in Uncategorized and tagged boulevard, God, grass, life. Bookmark the permalink. Love it! I was so happy to see some rain again too lately! Yes, hallelujah for the rain! I’ve been re-reading Diana Bulter Bass’ book, A People’s History of Christianity, and am interested in why some saints are renown. St. Teresa of Avila, a Spanish nun (1515-1582), wrote extensively on prayer. She believed all Christians could cultivate a rich life of prayer and a “beginner must look on himself as one setting out to make a garden for his Lord’s pleasure”. She apparently laid out four stages of watering the garden – each involving greater spiritual difficulty. (p. 178). Sadly, the book does not go into the four stages. What a blessing the rain was this weekend. Thanks for your comment, Anne. I enjoyed that book of DBB, too. Perhaps some looking into Teresa of Avila is in order! I’ve been reading Joyce Rupp’s “Praying our Goodbyes” – with the Hello-Goodbye-Hello pattern of our lives, until we come to God’s final “Hello” for us. Watching my own lawn turn green again after a number of different kinds of rain – heavy, gentle, short, long – is a lovely hello in a time of preparing goodbyes. I love that book, Sue. I have read it more than once. And I can really see the ‘hello’ happening as the rain continues.